The stage in Scratch measures 480 pixels wide and 360 pixels high. 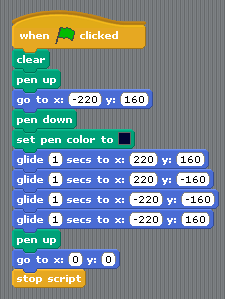 Coordinates in Scratch are based on the grid image below. 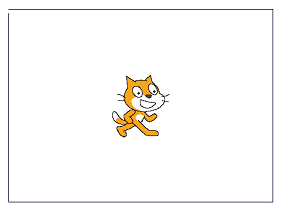 This image is available to import as a background from the backgrounds that are provided when you install Scratch. Alternatively, save the image below and import that into any projects where you are struggling with coordinates. In Scratch, we can get our sprites to draw on the Stage. 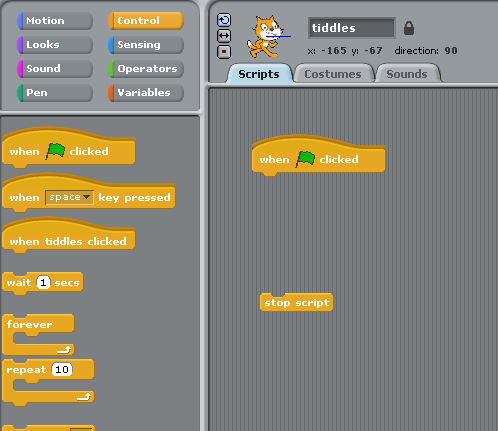 Launch a new Scratch program and add the start and end blocks for a script. You can test the program now or add the final touches now, a couple of blocks to lift the pen up and move the sprite to the centre of the stage or origin. The image on the right is how the stage should look when you run this script. 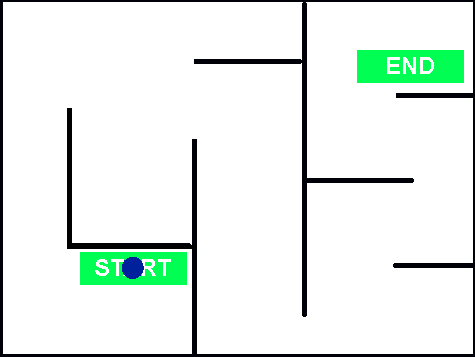 Your challenge: Adapt the program to animate the blue ball's journey from the start of the maze to the end. Use glide blocks for a nice effect. You could also get your sprite to draw the path it takes. Your sprite should not touch the walls of the maze as it travels. 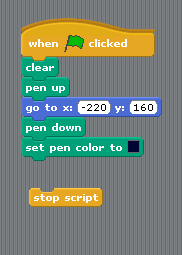 Write a program to create a line drawing of a triangle. Extend your program to draw the different types of triangle, right-angled, isosceles, equilateral and scalene. 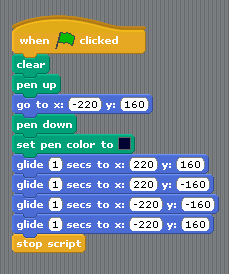 Write a program to create a line drawing of a robot.